Summer is over, the kids are back in school, and most likely your house is a mess. Get inspired and whip your house into shape with these design tips from Scott Dresner. 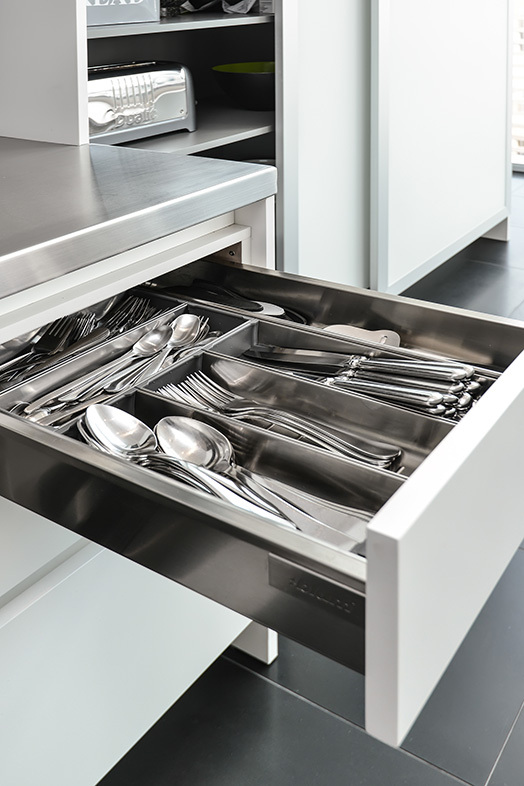 The clients of our Chicago Penthouse Kitchen, pictured here, wanted a sleek, contemporary look to the space with modern storage solutions throughout, such as these built-in drawer organizers. These are easy to add to your existing cabinetry and a cinch to install them yourself. We love using Blum. 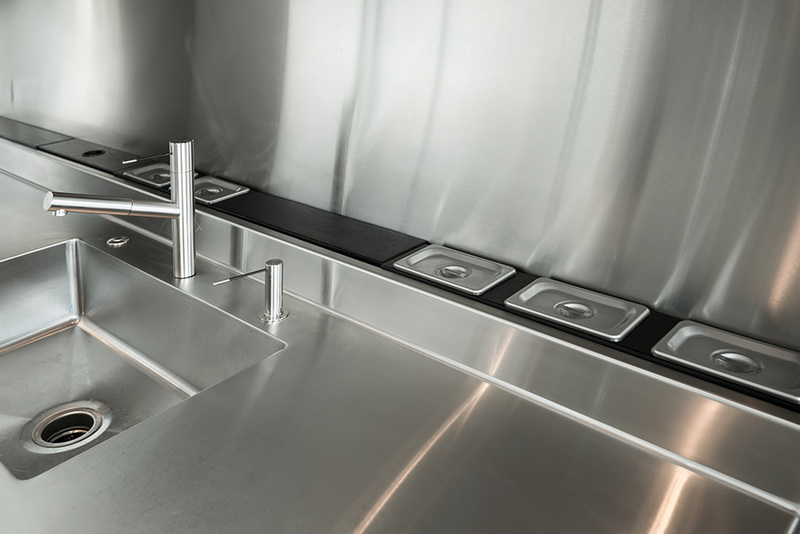 Scott also custom designed the stainless steel counters with a recessed knife block and storage canisters for the homeowners who desired their cutlery and spices the be hidden from view, but within reach. 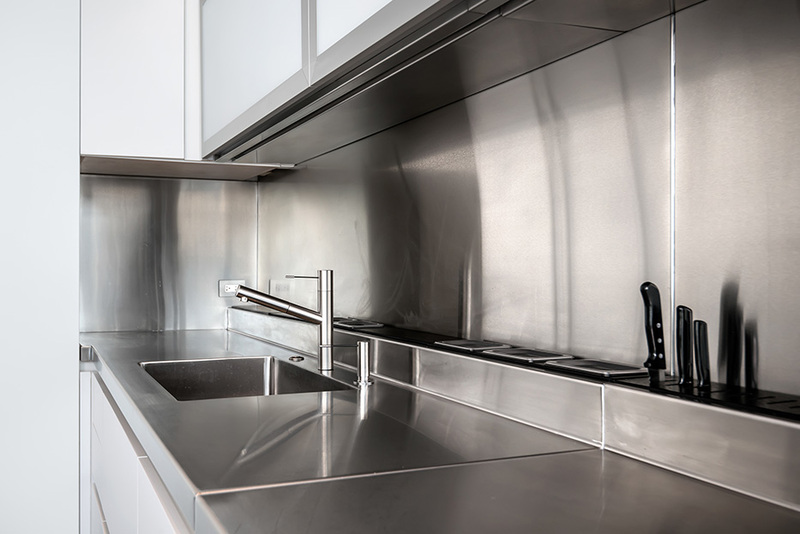 City Living requires savvy storage solutions in the kitchen. 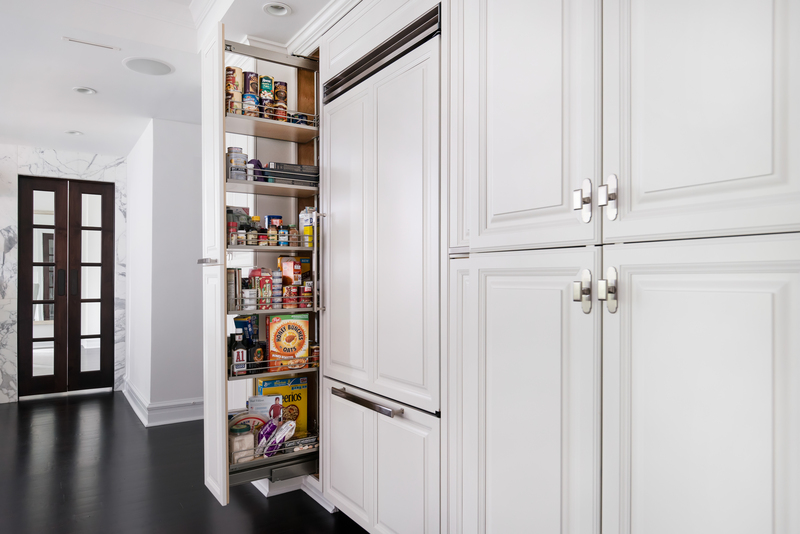 We built this roll-out pantry in our Cedar Kitchen where we managed to do quite a lot with very little space. This is city living at it’s finest. In our Gold Coast Townhouse we converted the attic into usable space and created a large master closet. See more of our organization secrets here.